So, today's post is a big jumble of Christmas all stuffed into one! But first, I've been obsessed with Avon recently - I need to seriously consider being a representative to start making it pay, for my over indulgence! I chose too colours 'Art Orange' and 'Lime Splatter' which bring in the deep oranges of winter, and the pastels of Spring 2013. The biggest advantage of the Avon collection for me is they really are SPEEDDRY, as my nails were dry in 30 seconds. I would definitely recommend this nail polish, as there's a great range of colours, and definitely worth purchasing if your like me, and get impatient waiting for nails to dry! My sister got the Friends boxset, and between watching the non stop episodes back to back, we've been testing out knowledge, playing the 'friends scene it game'. No matter how old the episodes, I still love some of the outfits, and how the style of each 'Friends' character changes over the years. My auntie brought my mom some gorgeous followers - It doesn't matter what time of year, I always love flowers to brighten up the room! 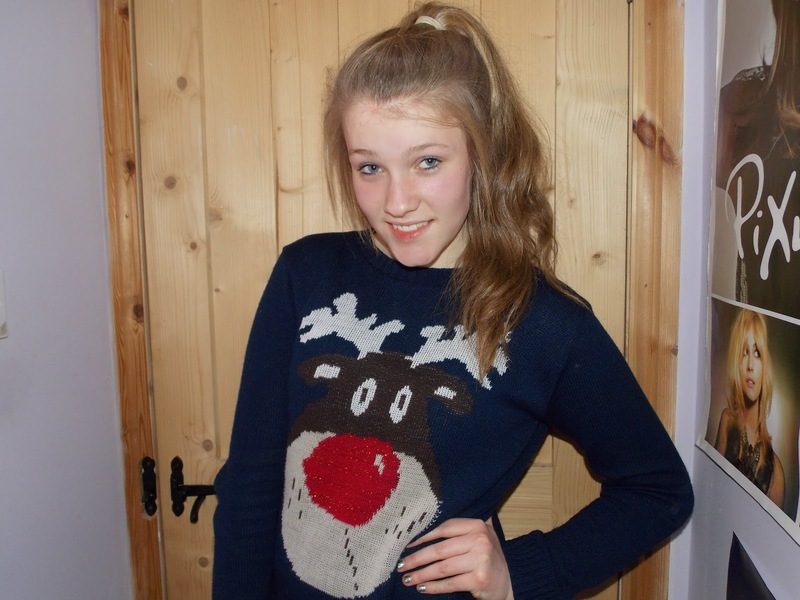 Managed to drag my sister into a photo, to show off her lovely Christmas jumper! 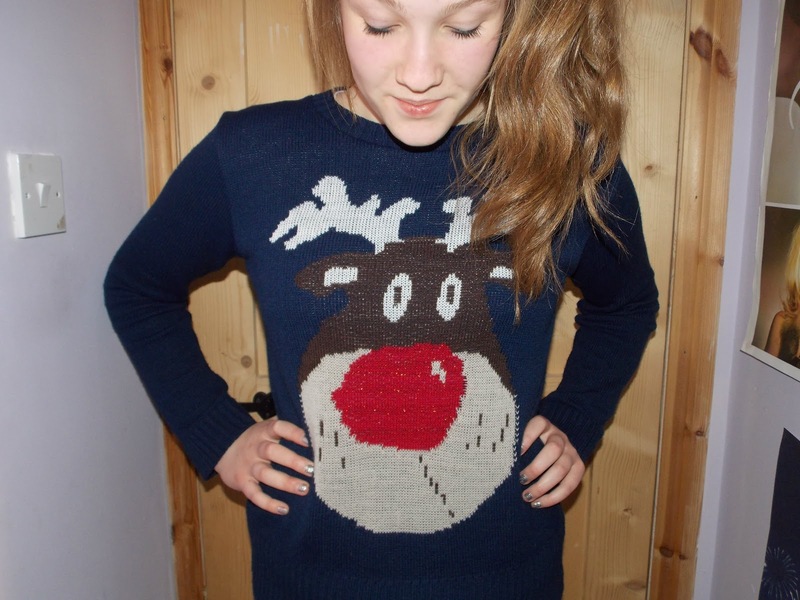 Since technically Christmas continues to the 6th of January, she's seeking every opportunity to wear it! 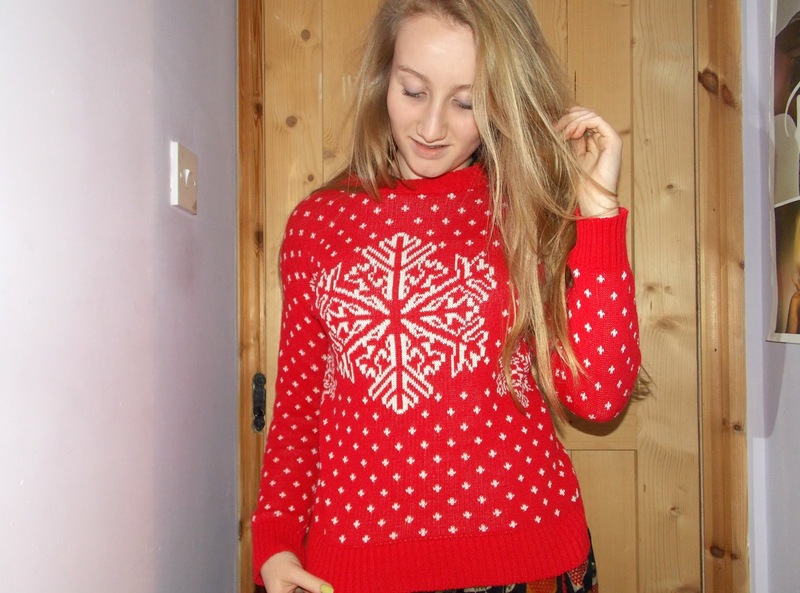 Here's my Christmas Jumper - though I've been wearing it most of winter! (shame there hasn't actually been any snow near my home...). 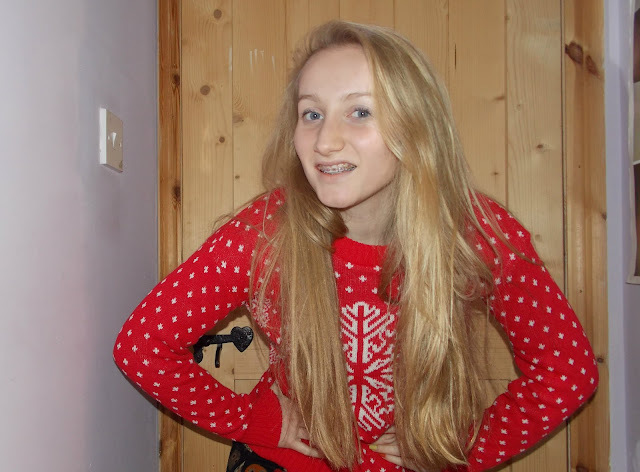 Still in good spirits of holiday cheer, I'm sporting my festive jumper for as long as possible! So many great pictures today! Dry nails in 30 seconds you say? That's fantastic, count me in! I love the colours of the nail polishes! Thanks so much for following - I'll make sure I check out your blog and return now!